Combines neoprene band with FLOAM bladder for compression over tendon insert point. Combines neoprene band with FLOAM bladder for compression over tendon insert point. FLOAM has no memory, which prohibits pressure from being displaced to bony prominences. 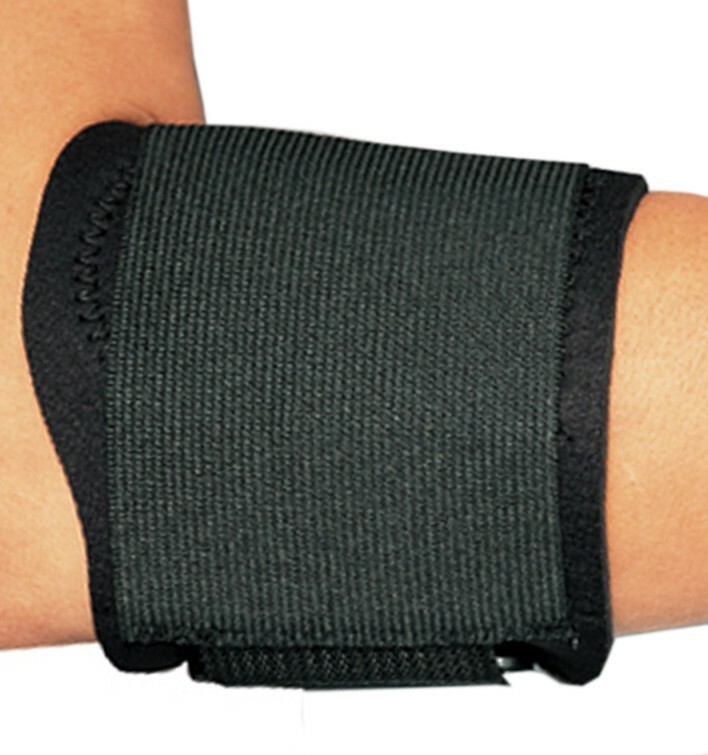 Ideal for Medial epicondylitis (golfer's elbow) and Lateral epicondylitis (Tennis elbow). Is this product washable? What type of material is on the inside of the armband? The ProCare Tennis Elbow Support w/FLOAM is washable, nut not in the washing machine. This product must be hand washed, in the sink, with lite detergent. The material inside is Floam which is a gel like substance commonly used in childrens toys.